My first bike~ a 2008 Nightster. Such a sweet ride! nice bike Betsy. 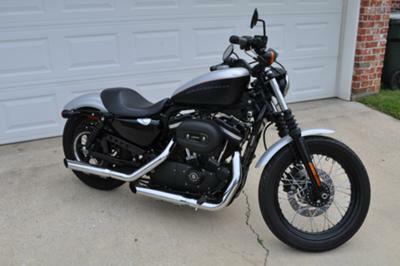 Just bought a nightster myself and love it..have fun. My first bike is a Nightster too!! I LOVE it!! I know you were smiling that first day riding..I was!! Great bike to own, I started out on my hubs hubs old bike but I took to it. Thank God we have the right to ride.